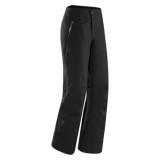 Arc'teryx Women's Whiteline Collection fits mountain terrain and on piste adventures. 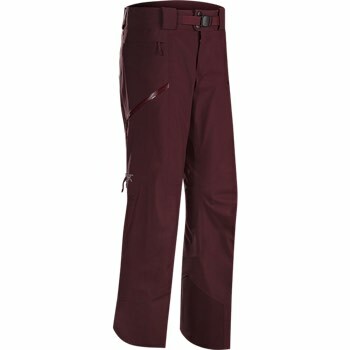 The Sentinel Pant for women is ideal for the freeride, deep powder skier/rider. 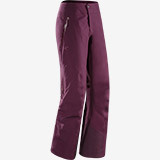 This pant has the jacket compatible Slide 'n Loc™ snap system so you can seal out the snow on those perfect powder days. 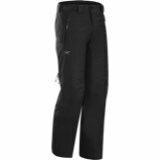 GORE-TEX® soft shell construction provides a flannel backer for light insulation and a moisture wicking polyester liner keeps you dry when things heat up. 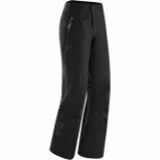 The Arc'teryx Sentinel Pant's relaxed fit leaves room for warm winter layers and has a clean appearance with a flattering look. 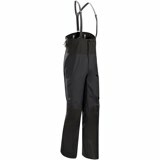 N70p GORE-TEX® with 3L lo-loft soft shell construction.